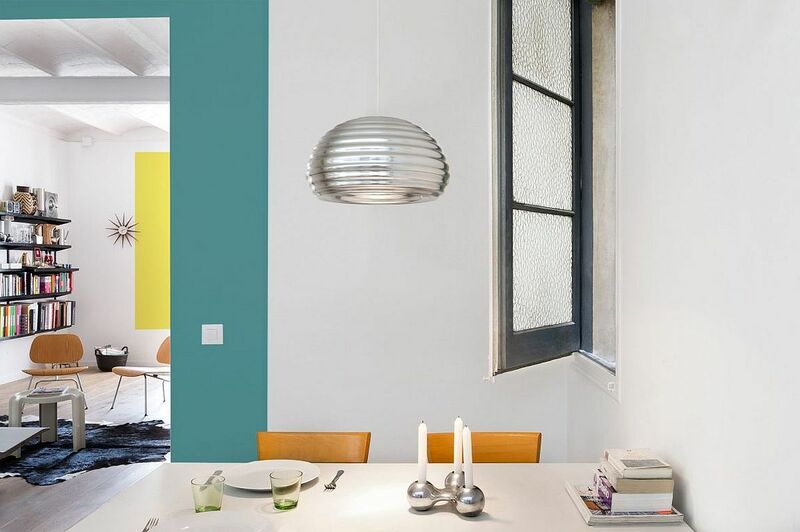 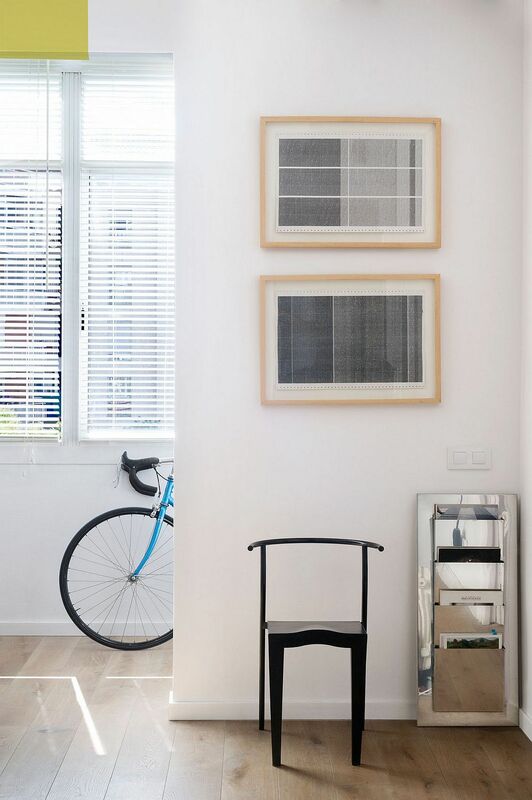 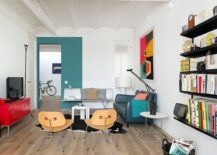 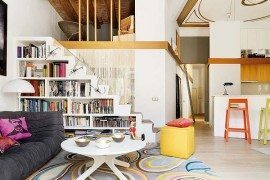 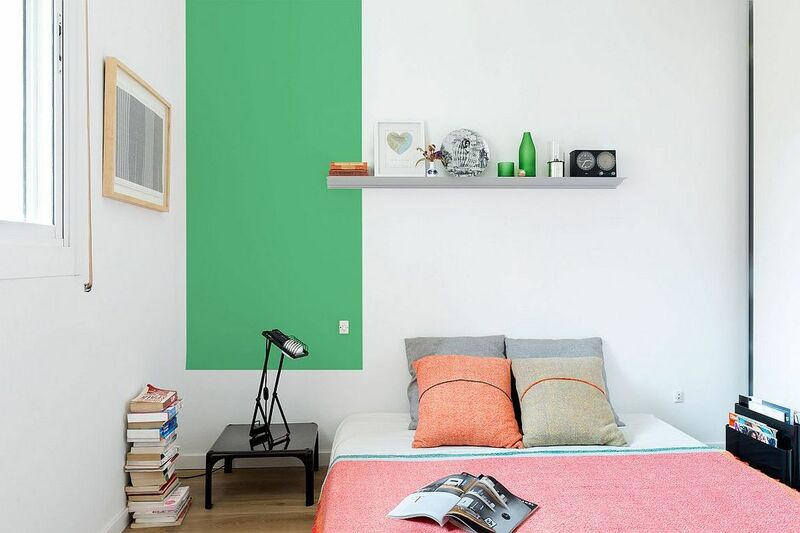 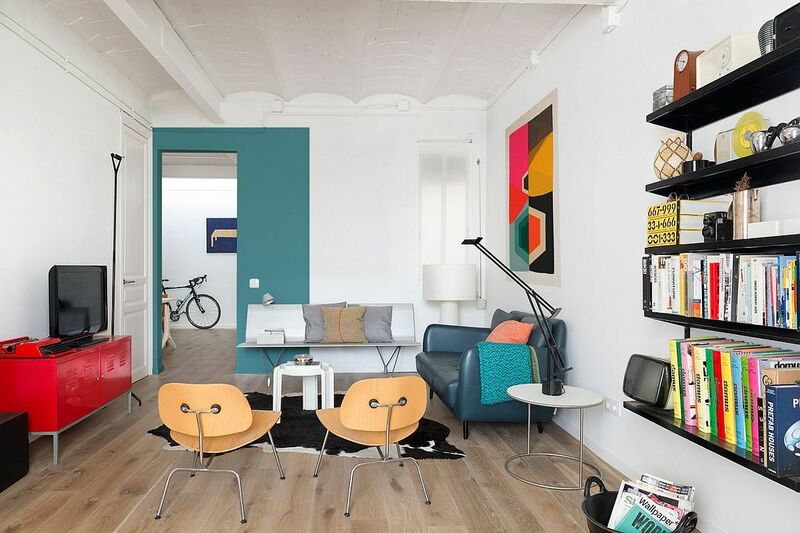 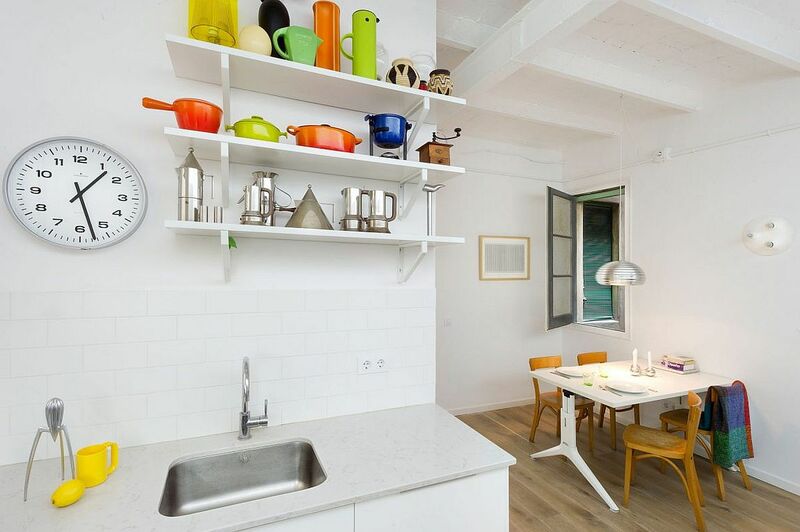 Call it color blocking or simply the creative use of bold color to enliven a distinctly neutral space; this lovely apartment in Barcelona dubbed ‘The Furnished Void’ definitely makes a big visual impact. 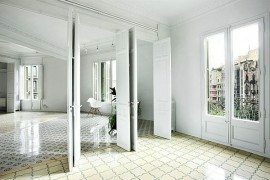 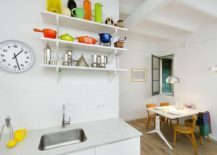 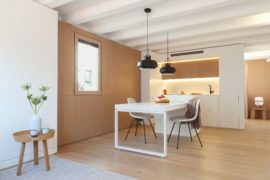 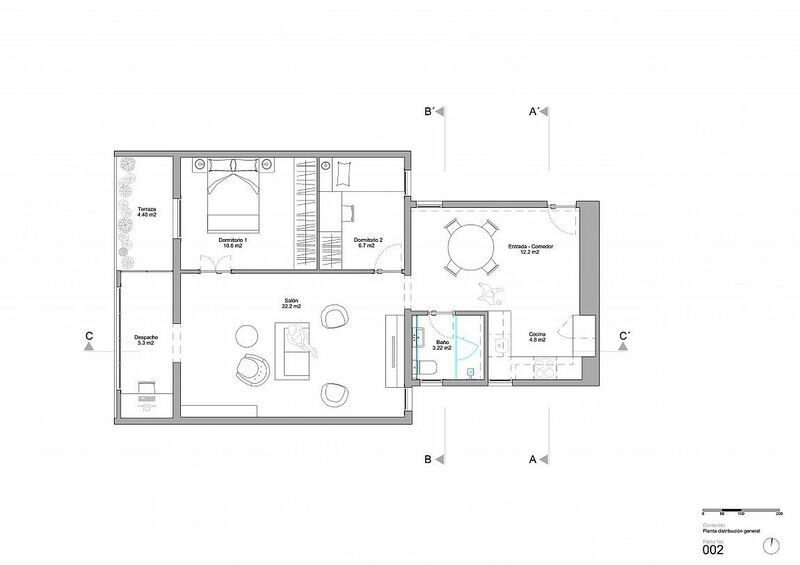 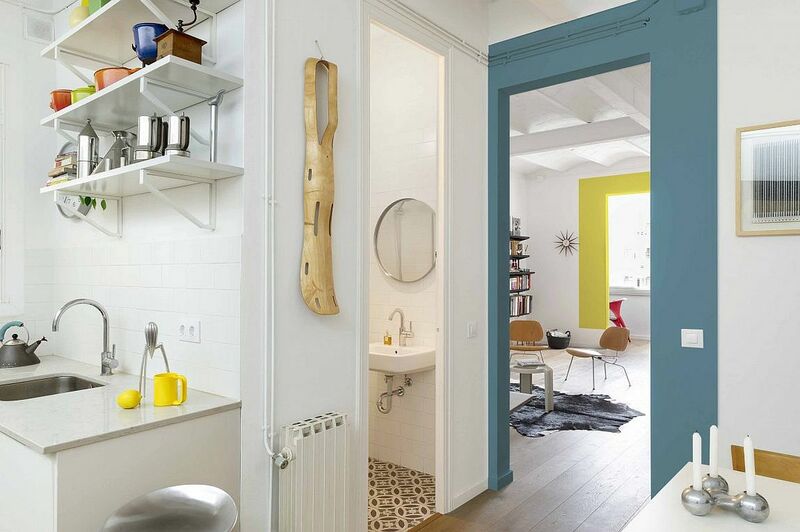 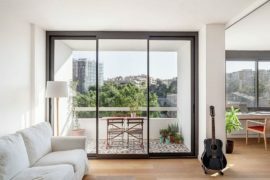 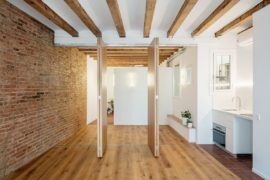 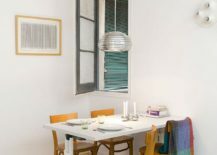 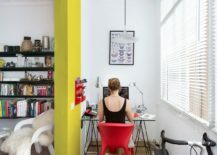 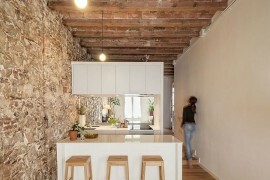 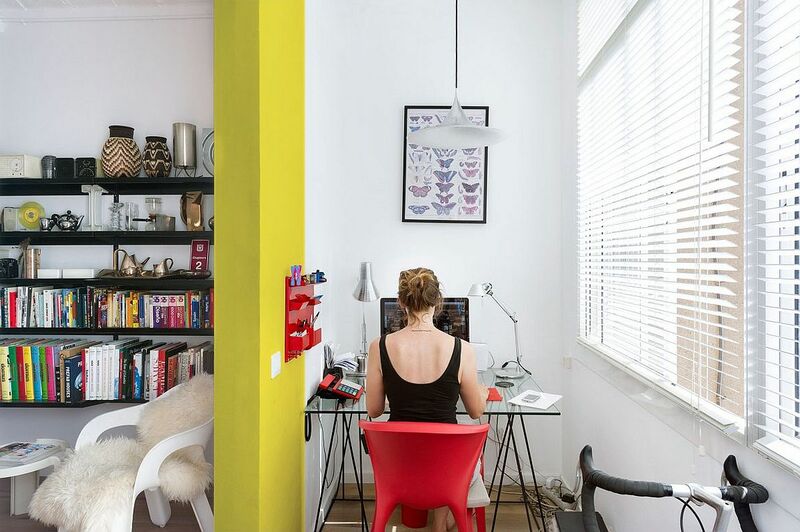 Completely renovated and revamped by Egue y Seta, the new apartment reflects the personality of its residents perfectly, even while maximizing space and creating a cheerful and vivacious interior. 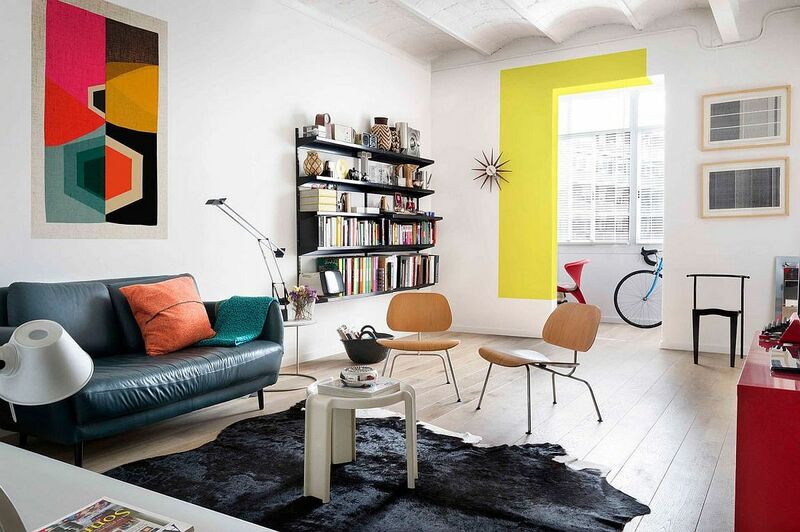 It is bright wall art, a media unit in bold red and a bookcase with sleek floating shelves that capture your attention in the living area, with a splash of yellow thrown in as well! 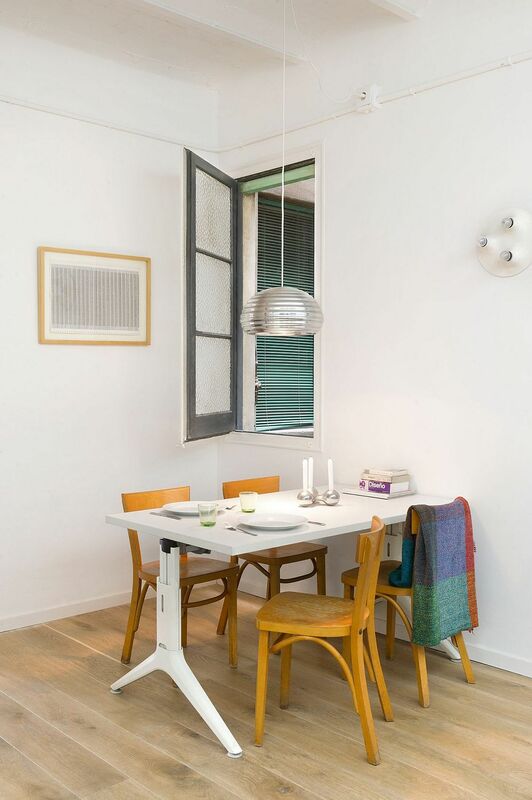 The apartment seems a lot more spacious, thanks to the flood of natural light coupled with smart ambient lighting and lovely pendants. 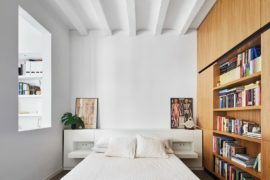 Every corner in the room is evenly lit to drive away any sense of darkness, while the all-white backdrop disturbed by bold blocks of color keeps visual fragmentation down to a minimum. 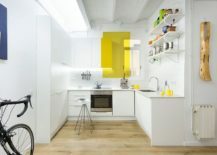 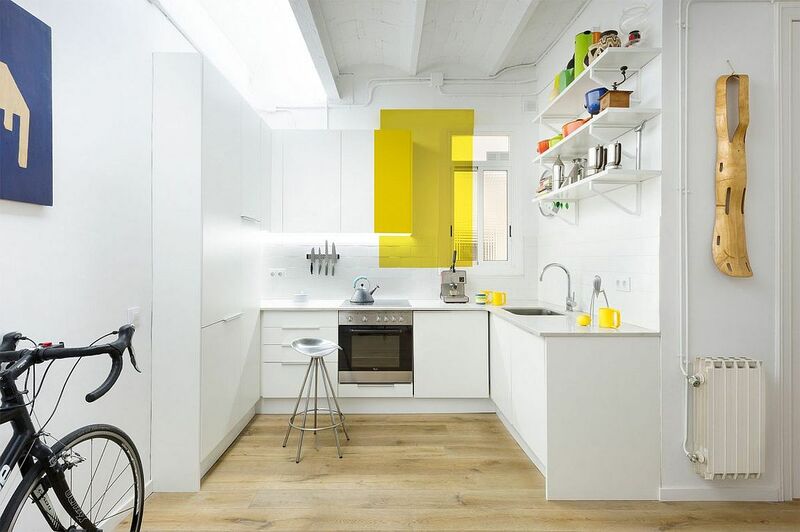 We also adore the way the small, all-white kitchen captivates with its unique ‘yellow block’ that involves a part of the wall-mounted cabinet and the tiled backsplash. 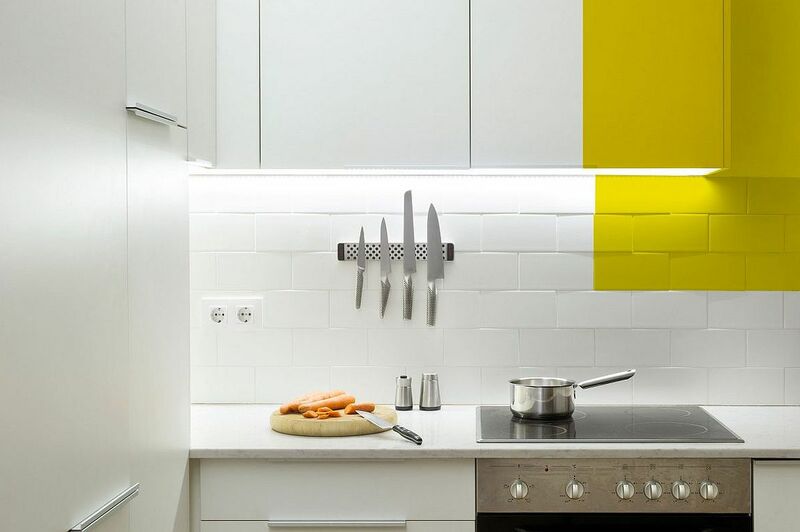 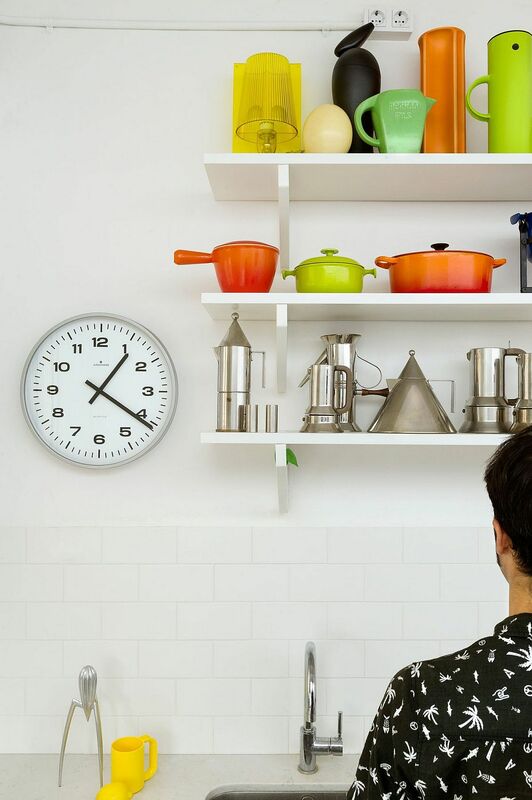 Open shelves also turn the brightly colored and stainless steel kitchenware into decorative pieces that play into the overall narrative.